Hilo is the orchid capital of the world, and a showcase of this is located on the road between Hilo and Volcano: The Akatsuka Orchid Gardens. This is a good place to pull over on a rainy day for a stop to admire the many beautiful tropical orchids as part of an organized or self-guided tour. The orchid gardens are located on Highway 11 between mile markers 22 and 23 on the mauka (ocean-side) of the road. 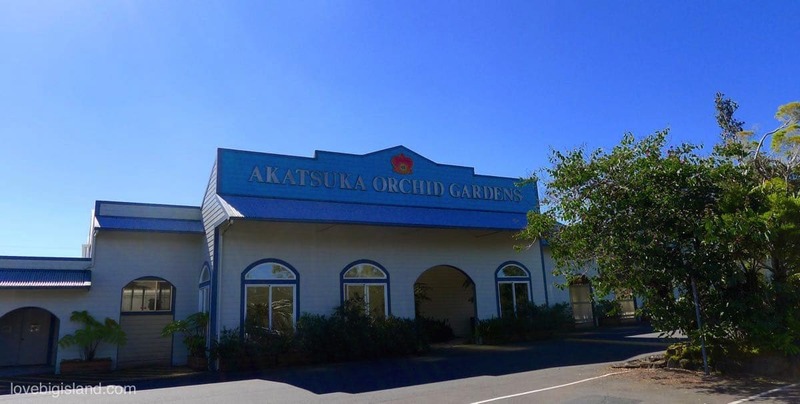 They are open daily from 10 am to 4 pm, see the website of the Akatsuka Orchid Garden for more details. You can see all the orchids you want as part of their ‘Orchid Maze’ experience. This self-guided and free tour lets you explore the 8,000 square foot showroom (with 500+ orchids on display) at your own pace. In the maze you can find educational displays that show the orchid growth stages as well as interactive video stations with helpful tips and growing instructions. Read more about the Orchid Maze. 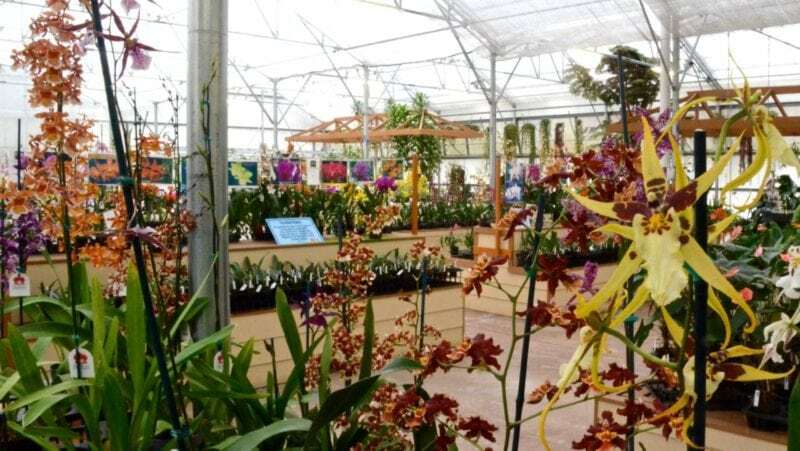 If you are really into orchids you can also go on a 45 minute guided tour through the maze & greenhouse growing facility. The tours start every day at 11 am and 2 pm and include a guided hands-on orchid planting activity (you can bring your planted orchid home. The early tour includes lunch and both include a taste of their favorite Poha berry ice-cream. Read more about the Orchid farm tour & tasting.